Background/Info: Metroland has their fourth album in the pipeline. So there’s no better teaser than releasing 2 digital singles to announce this full length. The Belgian electro-duo is already working around a concept, which is now dealing with pictures. Content: The first single features the main title song and a B-side cut. 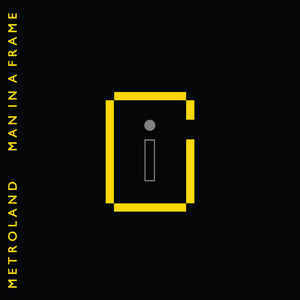 “Men In A Frame” reveals Metroland at its best! The song is carried by a solid bass line, a dry, danceable kick and a somewhat haunting melody. Spoken computer vocals and zombie-like vocals are achieving the song. The link with Kraftwerk remains. The other single featuring 2 remixes of the title song and 1 remix of the B-side cut brings an interesting alternative to the original versions. 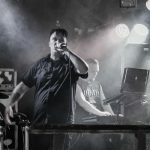 I noticed a somewhat new-beat driven “Re-framed” remix plus a cool remix of “F8” by Maschine Brennt (an artist you might have discovered by his album released on Razgrom Music). + + + : Metroland doesn’t surprising me. This new title song is for sure a new hit! The influences and sound ingredients aren’t changed while the efficiency remains exactly the same. 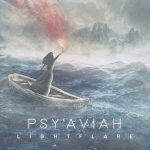 This is a great piece of music mixing danceable vibes and vintage melody lines. I also fully enjoyed the first remix for its new-beat flavor. – – – : The B-side cut “F8” is nothing less than a B-side and is a bit disappointing. From a very personal point of view I’m not into singles, but this retro-concept totally fits with the global sound approach of Metroland. Conclusion: “Men In A Frame” is a solid teaser for the same-titled upcoming album. Metroland is definitely becoming the reincarnation of Kraftwerk or one of the electro-pop leaders of modern times. Best songs: “Men In A Frame”, “Men In A frame – Re-framed”.